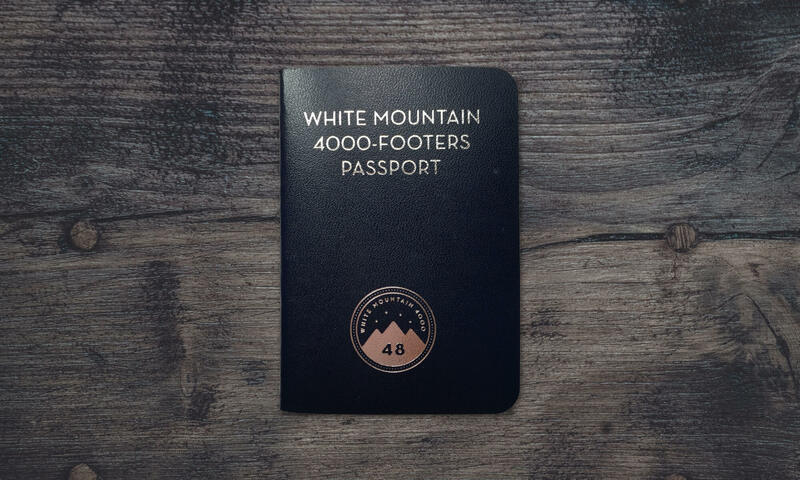 A complement to the Periodic Table of the White Mountain 4000-Footers poster, this pocket-size passport is tailor-made for tracking of your 4000-footer climbs. 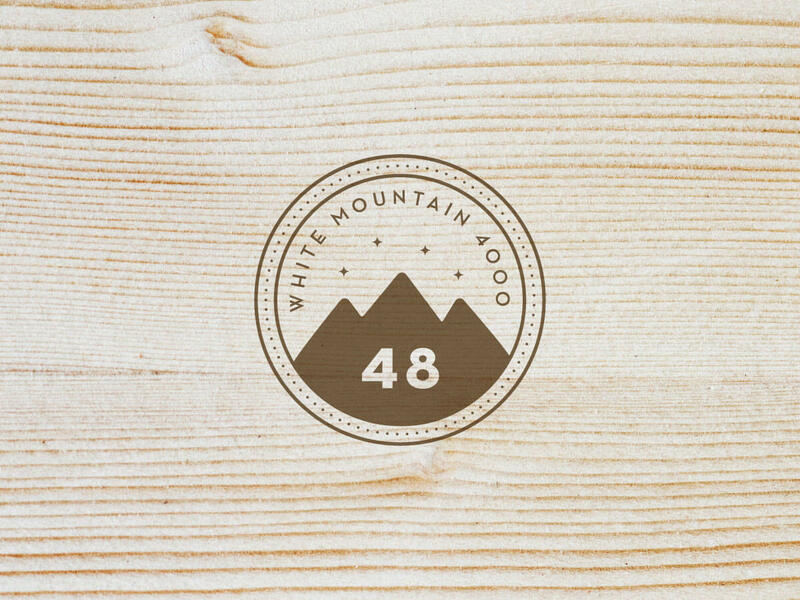 Bound with a handsome dark blue leatherette cover, it includes a page for each of the 48 peaks on which to log date, companions and hike notes. 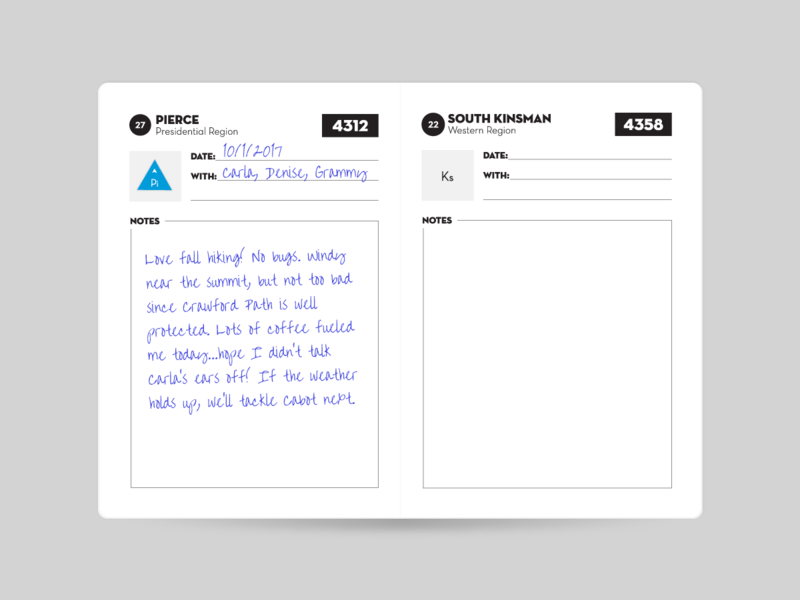 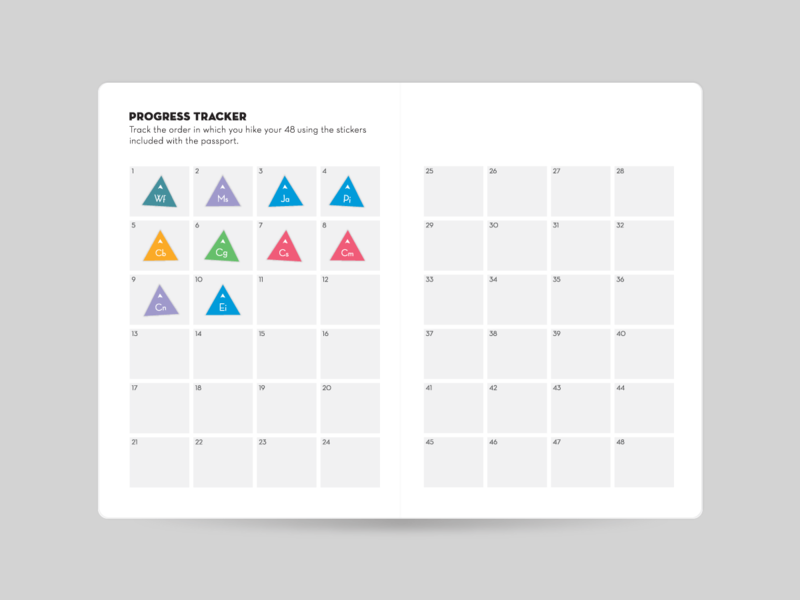 Included are two sets of small peel-off stamps for each peak—one to place on the individual peak page, and another to place on the two-page centerspread to track your overall progress in climbing the "48". 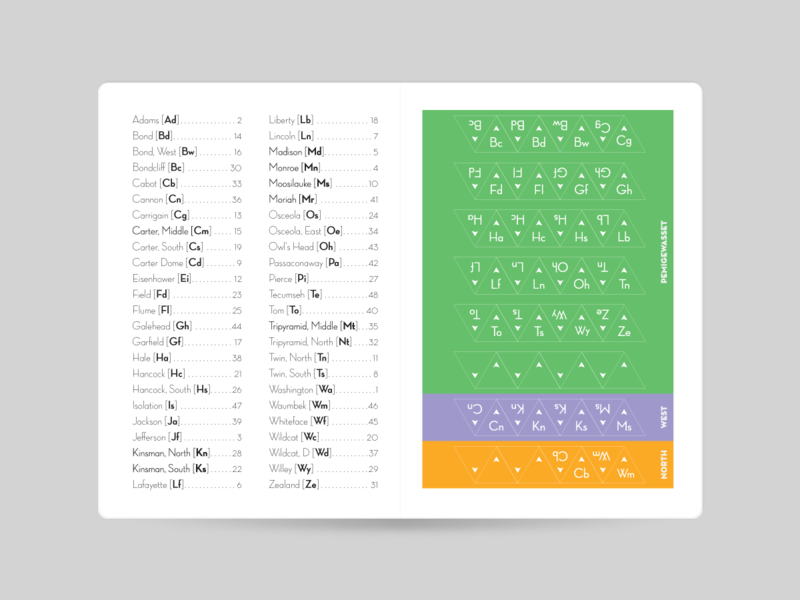 The stamps are referenced to a peak abbreviation key on the back page of the passport, using the same format as the poster.